Abstract: This essay examines the role of continuity in the study of medieval Northern popular cultural. Among other issues, it questions: the nature of continuity as a concept; the roles “tradition” and “continuity” have played in the development of folklore studies historically (e.g., Finnish Historical-Geographic Method, the “superorganic”) and their value today in relation to, e.g., memory studies and performance theory; and the use, and the misuse, of such tools over time, including by the National Socialists. I note that that the value of our ability to employ continuity as a scientific concept rests on our ability to demonstrate and evaluate four factors, namely, communality, variation, continuity and function. Importantly, far from being static, the role of continuity in the telling or enactment — the ‘doing’ — of folklore, is a dynamic, communicative and re-contextualized conception of inherited materials. Introduction: Few topics play a more central role in the way scholars have thought – and, in some cases, continue to think – about medieval folk cultures than has the issue of continuity. The possibilities of making useful and empirically grounded connections over time between and among cultural documents, understood broadly, are indeed enticing, especially for those focused on northern Europe, where unbroken chains of tradition might lead us from our late medieval data back into the deep past, to the earlier worlds hinted at in the writings of Adam of Bremen, Rimbert, even Tacitus, as well as to the recoverable outlines of late Iron Age material culture revealed by modern archaeology. Thus, with luck and hard work, it was hoped, the continuity argument might fill the interstices of our textual data, and, correspondingly, clothe the postholes and other echoes of “lived lives” of countless dig sites in cultural context and human values. By means of continuity and tradition, scholars could make the leap from, say, the thin gruel of an insouciant reference by a Latin author or the settlement design of some immiserated polar outpost all the way forward to the spectacular “thick descriptions” provided by 13th – and 14th-century Icelandic sagas and other writing. 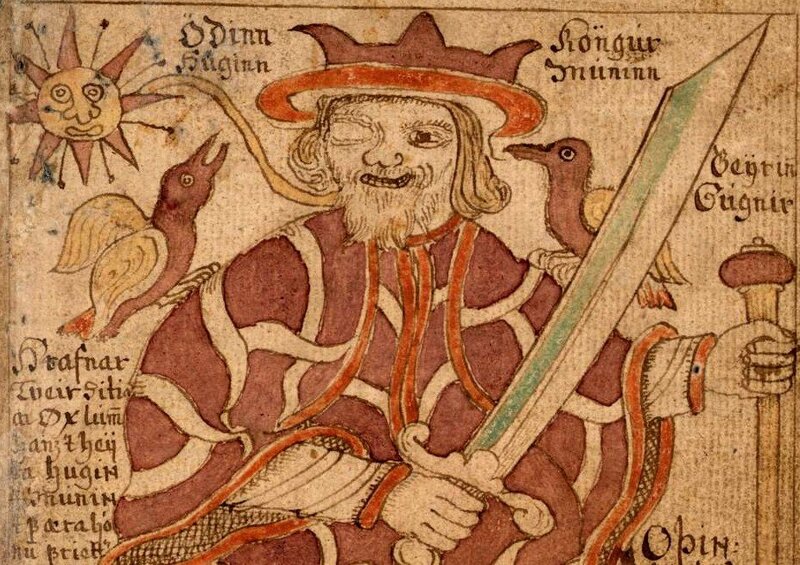 Thus, in the first case, Paul the Deacon’s 8th-century story of how Frea tricks Godan into giving victory to the Lombards over the Vandals can be better understood against (and, in turn, give a more comprehensive understanding of) the 13th-century prose introduction to the eddic poem Grímnismál. And in the second instance, one can appreciate how the discovery of the so-called Þjóð hildarkirkja, the chapel at Brattahlíð in Greenland, which, accord-ing to the traditions recorded in Eiríks saga rauða, was built – not with-out controversies – for Eiríkr’s wife, Þjóðhildr, allows that discovery to become much more than the unearthing of the foundation stones of just another úthús.